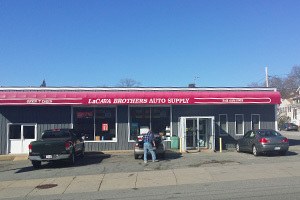 For more than 70 years La Cava Bros. Auto Supply has provided the Greater Fall River area quality automotive parts and service. 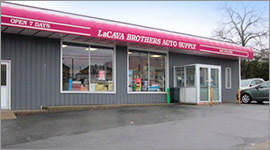 Family owned and operated from the start, our team members are here to help you find the right parts to keep your vehicle running at its best. Whether you work in a shop or in your garage, we have the parts, tools and service to get you back on the road. Motorcraft, AC Delco, Pennzoil, Dorman & Many More…. 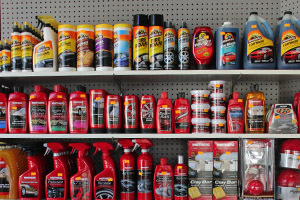 Newly Expanded Car Care Department – Full Line Of Car Chemicals – Come In And See Our Selection! Live out of town? Just give us a call and we can ship the parts to you.